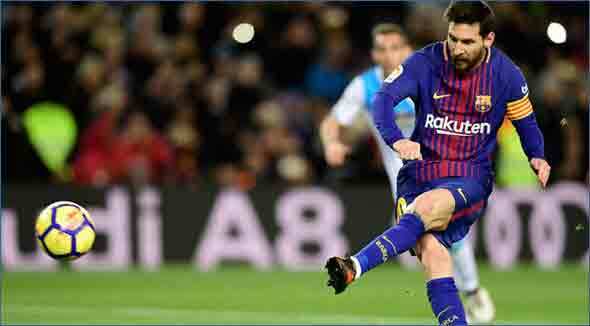 Rio de Janeiro: Brazilian legend Rivaldo said football superstar Lionel Messi is currently the best in the world and he would have loved to play along side the Argentine. "I would like to play with Messi, it would be amazing. He is the best of the world, the one who makes more differences," the attacking midfielder who won the La Liga title twice with Barcelona was quoted as saying by goal.com on Tuesday. "I would like to play with Messi, it would be amazing. He is the best of the world, the one who makes more differences," Rivaldo added. "I remember Figo, Del Piero or Totti, now you always hear about the same players and I am pretty sure I could challenge with Messi and Ronaldo because football was harder in my times," Rivaldo who scored 35 goals in 74 appearances for Brazil from 1993 to 2003 said.